The Prineville Police Department will soon turn to local residents with video surveillance systems to potentially help them solve crimes in the community. Sgt. 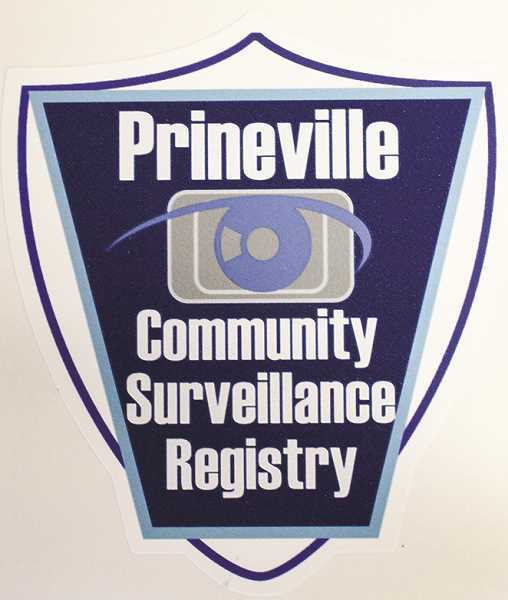 Jimmy O'Daniel has spent the past few months developing the Prineville Community Surveillance Registry program, which the department is planning to launch this week. He began work on the project as part of a middle management academy project in which he researches an idea and then later implements it. "It is a video surveillance monitoring system. People will have the opportunity to sign up through video surveillance systems of their private property through our website," he explained. Those participating in the voluntary program would then have their residence or business plotted on a GIS map of the community — viewable only by the police department — providing them real-time information on where the participants are located. Then, if a crime is committed in an area of some of the participating homes, police can contact them and either ask the residents to review their footage or ask permission to view it themselves. "We can put that (footage) in our system as evidence and it helps us solve crimes," O'Daniel said. The sergeant stressed that participation in the program will never result in the police department remotely accessing a person's private system — the agency doesn't even have such capabilities, O'Daniel said — and residents would provide footage on a voluntary basis. Also, if program participants decide they don't want to be a part of the program, they can opt out at any time. The police department is not piloting an original program but is modeling it after several that have already enjoyed success in other cities. "Ours is modeled after Las Vegas Metro," O'Daniel said, adding that Medford Police Department has a similar project they have relied on for a while now. Prineville's department has also gathered some information on the program from Oregon Knowledge Bank, a statewide public safety resource. O'Daniel has been working on the new program for the past few months, getting the infrastructure in place and obtaining a cooperative agreement with Crook County GIS. He noted that the program can make use of virtually any kind of home surveillance system, from store-bought to those operated through a security company like Brinks. "Any system would be appropriate — a game camera if that's all you've got," he remarked. O'Daniel said it doesn't matter where on the property the cameras capture footage. If they are all aimed at the front of the property, it could help them solve a package theft crime that might otherwise go undetected or unresolved. He added that the database of participating residences will include the direction of camera views. "We want to incorporate the community as a whole. We want people to help us," O'Daniel said, noting that they will be launching a video about the program on their Facebook page this week as well as online sign up form on the agency website. "We are ready."